Let’s Talk About the Blair Witch! Welp, it’s happening, and as you could imagine I have some choice thoughts about it. The Blair Witch Project just doesn’t do either of these things for me. I first watched it back in 2013 and I watch it every year at least once usually in October. My opinion remains unchanged after about 5 total viewings. Why do I watch it every year? I am hoping my opinion changes. I love the concept of the Blair Witch Project, however I don’t enjoy the execution, or most of the found footage films that followed its example. Now lets also add in that I was born in 1997 with the film released in 99. When it initially came out the hype was insane due to the fact that everyone thought it was real. So who knows maybe that would change my opinion but its doubtful. I understand why people like the film, I really do. The acting is spot on and the concept is interesting. When I watch the Blair Witch Project I see a bloated movie full of shaky cam and kids screaming. Oh but wait! Occasionally they find a bundle of sticks!! Give me a break, please tell me how that is scary?? The only scary part of the film is the snot coming out of Heather Donahue’s nose. There is no real script, so there’s absolutely no narrative substance. How about the ending? Talk about a let down and WE DON’T EVEN SEE THE “BLAIR WITCH.” This movie is pure psychological, I usually love that kind of stuff, but it needs to mess with my head a little bit. Does TBWP do that? ABSOLUTELY NOT. 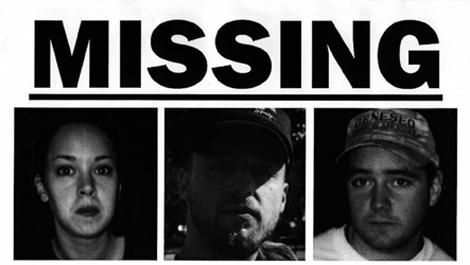 I don’t just hate The Blair Witch Project, I hate what it did to film. How many found footage films have we had in the past few years? It’s atrocious how Hollywood sees that something that works, and then we can’t get a horror film that’s not a group of dumb teenagers shaking a camera or finding old VHS tapes. Blair Witch did something unique and now every bad director looking to make a movie on a budget tries to do the same exact thing. Everything said I will see the new one. I have high expectations actually. As I stated I really like the concept in general. So here’s to hoping this one can correct everything the first did wrong. I’m maybe making a phone call talking all things Blair Witch on the Slash Film podcast next month. I will post details as they are available to me.